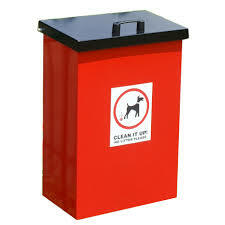 The Town Council, Borough Council and National Trust provide dog bins throughout the Town. They are emptied by King's Lynn & West Norfolk Borough Council who is also the responsible body when it comes to imposing fines, clearing up, etc. Please note that it is now an offence to allow a dog to foul a public area, including the beach, parks and highways.